The United States and North Korea will meet again this month in an unidentified Asian country ahead of their leaders' planned second summit in Vietnam in late February, South Korean officials said Sunday. 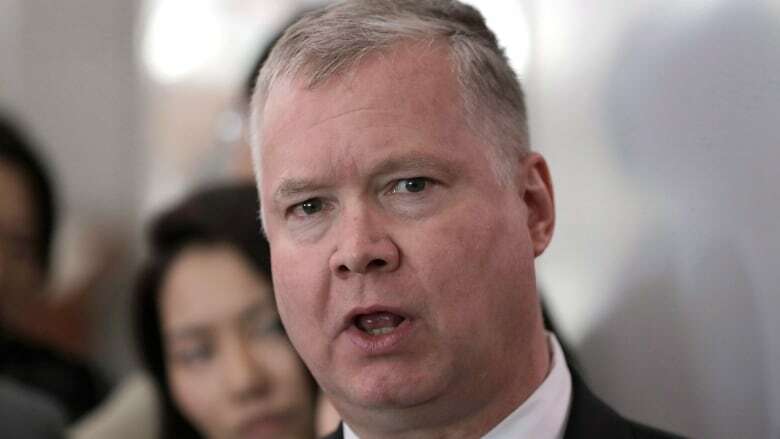 The U.S. special representative for North Korea, Stephen Biegun, visited Pyongyang last week to work out details of the Feb. 27-28 summit in Hanoi between President Donald Trump and North Korean leader Kim Jong-un. After being briefed by Biegun about his discussions in North Korea, South Korea's presidential office said that the U.S. and North Korea used Biegun's trip as a chance to explain what concrete steps they want from each other. South Korea's national security adviser Chung Eui-yong, who met Biegun, reported that U.S.-North Korea diplomacy "is working well," presidential spokesperson Kim Eui-kyeom said. He said a follow-up U.S.-North Korea meeting ahead of the summit will take place in a third country in Asia in the week that begins Feb. 17. In Pyongyang, Biegun and Kim Hyok-chol, North Korea's special representative for U.S. affairs, discussed "advancing Trump and Kim's Singapore summit commitments of complete denuclearization, transforming U.S.-(North Korea) relations, and building a lasting peace on the Korean Peninsula," the U.S. State Department said in a statement. Trump and Kim met for their first summit in Singapore last June, during which Kim pledged to work toward the "complete denuclearization" of the Korean Peninsula, without providing a clear timetable or roadmap. U.S.-led diplomacy aimed at getting North Korea to abandon its nuclear program in return for outside concessions has since made little headway. While announcing the specific location for his second summit with Kim, Trump on Friday tweeted that North Korea would someday become "a great Economic Powerhouse" under Kim's leadership.